To be useful to your body, blood sugar has to be transported to your cells. Think of insulin as the barge that transports glucose from your blood to your cells. Once it reaches the cells, three things can happen to that glucose: It can be mobilized for immediate energy; it can be converted into glycogen for later use as a source of energy; or it can be stored as fat. Let's delve in a little deeper. Insulin is manufactured in a part of your pancreas called the Islets of Langerhans. As the sugar level in your blood goes up, the pancreas releases insulin to move the sugar out of the blood. It then transports the blood sugar to your body's cells for their energy needs. But as we previously mentioned, when these needs are met the liver converts excess glucose into glycogen, which is stored in the liver and muscles, where it is readily available for energy use. Once all the glycogen storage areas are filled, the body has to do something with excess glucose. And here is the big revelation: The liver converts the remaining glucose to fat, which becomes the "storage tanks" of fat on your belly, thighs, buttocks and elsewhere. That's why insulin is called "the fat-producing hormone." On the other hand, excessive carbohydrate intake results in high amounts of blood sugar and may, in turn, overstimulate insulin production. When this happens, it causes a drop in blood sugar, robbing the body of energy for the cells. The result of the process is destabilized blood-sugar levels, quite possibly causing fatigue, brain fog, shakiness and headaches. The body attempts to adjust by liberating counter-regulatory hormones-such as adrenaline-to raise the glucose level, but another stiff dose of insulin can overpower the effect of those hormones. Fortunately for most of us, this glucose balancing act takes place automatically and our blood sugar stays in a fairly narrow, normal range. 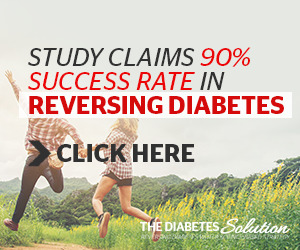 But for some, the bodily insult of massive insulin release to deal with massive blood-glucose levels has been going on for years, causing the glucose-regulating mechanism in the body to break down, initiating unstable blood sugar and eventually diabetes. For more on diabetes, see Chapter 24.